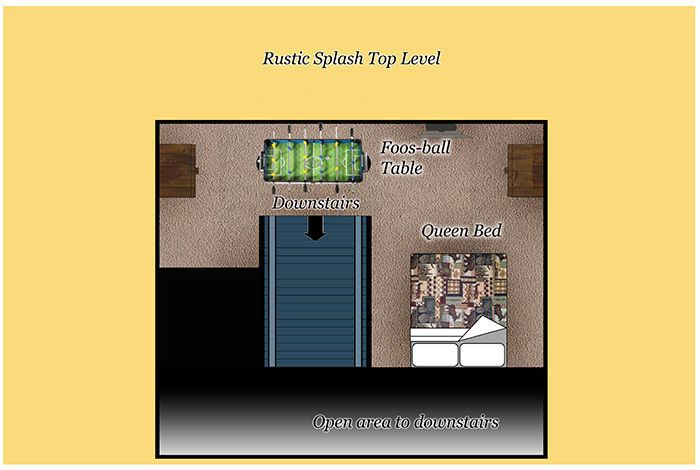 Rustic Splash is a lovely, well appointed, one bedroom, log cabin that sleeps six comfortably with a private indoor heated swimming pool! 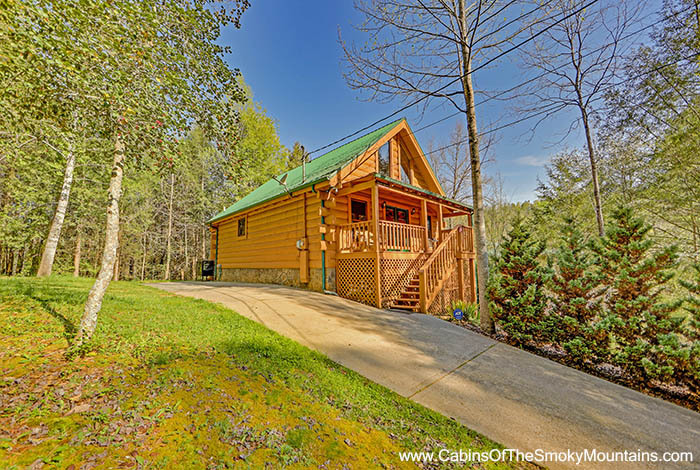 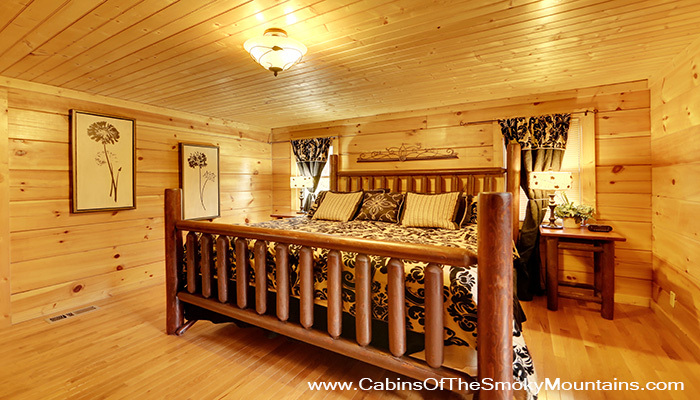 This elegant furnished nightly cabin rental is located in Pigeon Forge, just minutes from all the attractions, shopping and dining in Pigeon Forge and Gatlinburg. 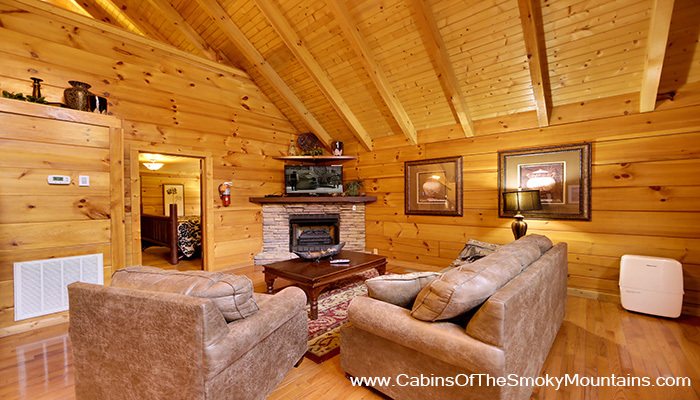 The living room features a stacked-stone fireplace, sofa sleeper, an over stuffed chair with ottoman, matching side tables, a 55in 4k flat screen TV with DVD player and all the WiFi you can use on your devices. 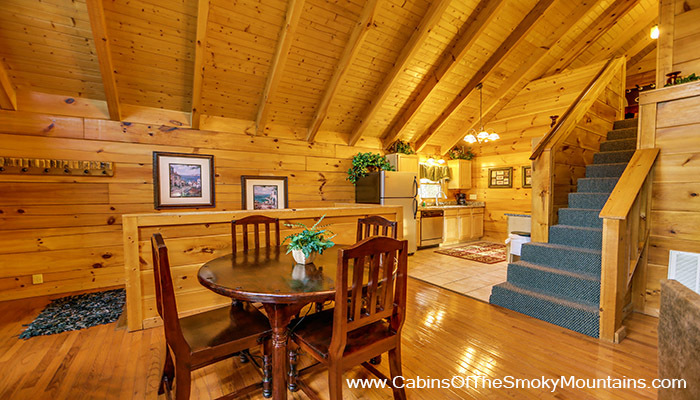 The kitchen is fully equipped and the dining area offers a rustic table and four chairs. 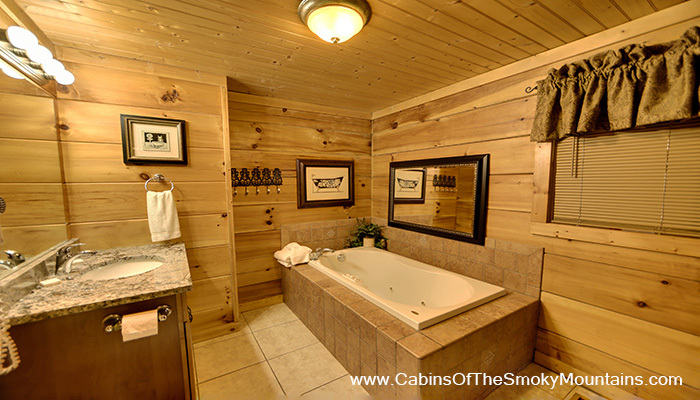 Just through the living room is the meticulously furnished master bedroom with a king bed, dresser, closet, flat screen TV with DVD player and an adjoining full size bathroom with a jetted jacuzzi tub. 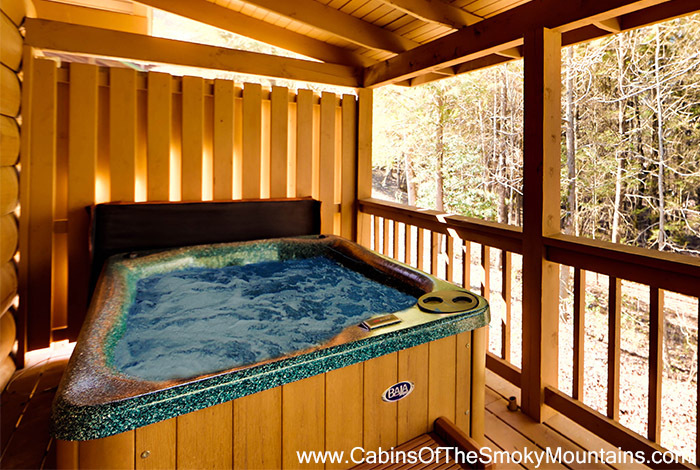 The relaxing Hot Tub is just off the master bedroom with a door leads to the deck staged with two chairs and a patio table. 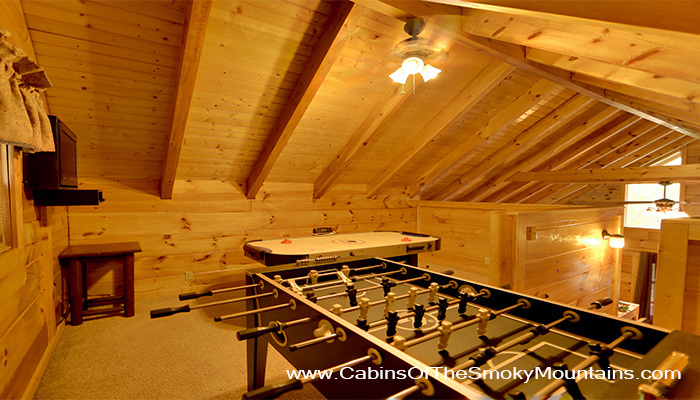 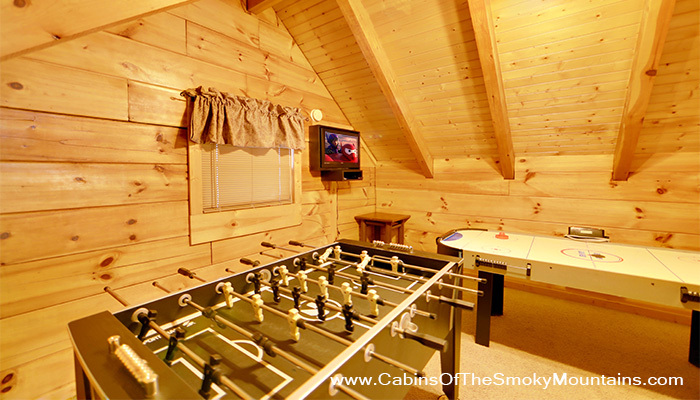 The game room is in the loft area, providing hours of fun with a Foosball table, air hockey, and a 42 inch flat screen TV. 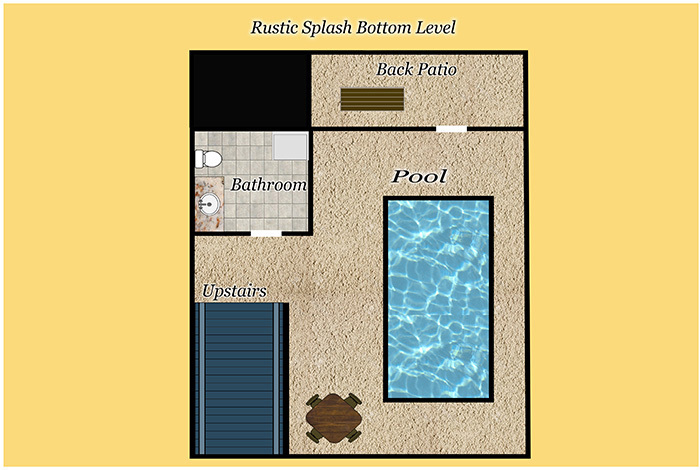 The lower level features an incredible indoor swimming pool, with a ledge for seating and stairs that reach to a depth of five feet with colorful underwater lighting. 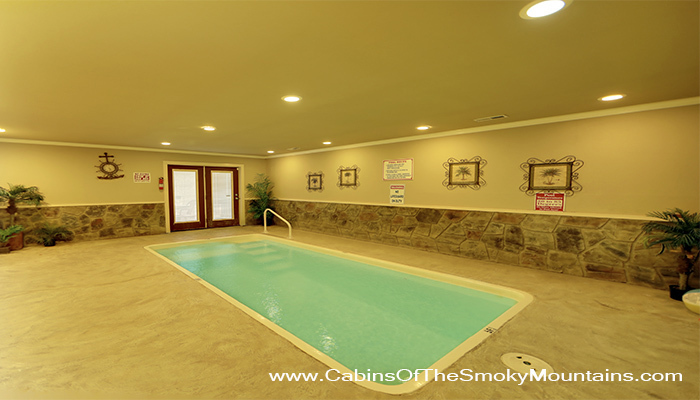 The pool area, with tropical décor, offers the optimal setting for relaxing with a tables, chairs, CD player and a half bathroom. 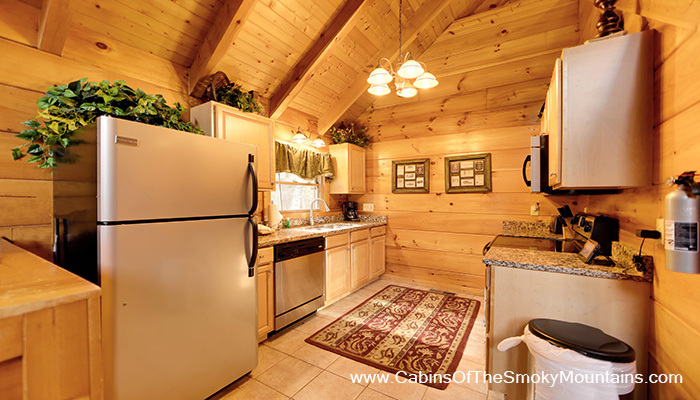 In addition you will find an exterior door leading outside to the yard with a patio table and charcoal grill. 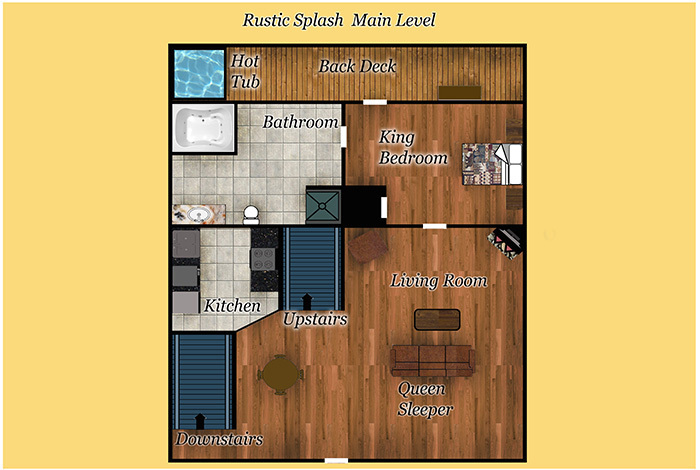 Rustic Splash is perfect for a romantic getaway or a refreshing weekend for the kids.